What’s common to each of our firm members is faith in working together as a team. We are deeply resolved to think on a level where cultural progress and a sense of tradition collide. To do this, we are rooted in a foundation we consider Our Calling: Character, Clients, Culture and Community. We’re lucky to have leadership that helps us stay committed to our core value that George Harrell and E.G. Hamilton initially established: elevate the quality of our community’s built environment. We’re eager for any opportunity to give back to the communities we live in. To that end, we share hundreds of hours annually with work for the public good and welfare of our city. This is where we live and where we work. We enjoy focusing our time and talent toward making Dallas and Phoenix the best places they can be. And because of our firm’s unique local legacy, we’re able to shape unparalleled possibilities in our own backyard, which keeps our focus on design that endures with a positive impact on our environment. We’re here to listen with open minds about what our cities need next so that everybody stands to gain. We enjoy focusing our time and talent toward making Dallas the best place it can be. Retrospect is an AIA Dallas design competition. Each year has a theme and for 2017 the theme was "Cultivate". Our team decided to Cultivate our Community by donating our piece to a community organization. We contacted local DISD school, Hexter Elementary, and asked what they needed most. Their response was an art piece for their front door where they are working on installing a Xeriscape learning garden to teach children about drought-tolerant plants. Visit our Tangent page to read more about our structure and its impact in the community. We contacted a local disd school, hexter elementary, and asked what they needed most. In 2018, our team was awarded first place for their scene from their favorite Childhood book, The Secret Garden. 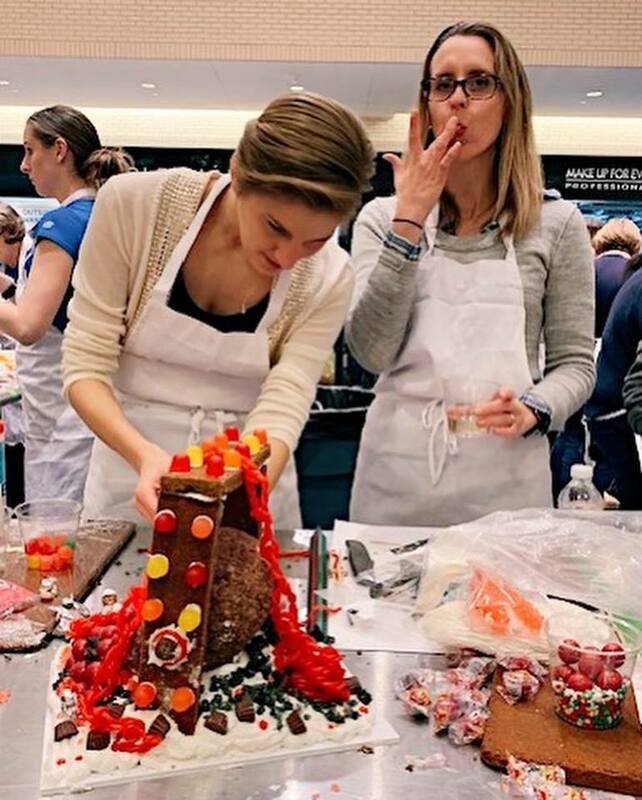 For five years, our firm has mentored girls at Robert T Hill Middle School through Girl Scouts of America in their annual "Cookie Box Creation" competition. The women in our office mentor the girls. We help show them that they can be professionals and teach them STEM ideas. 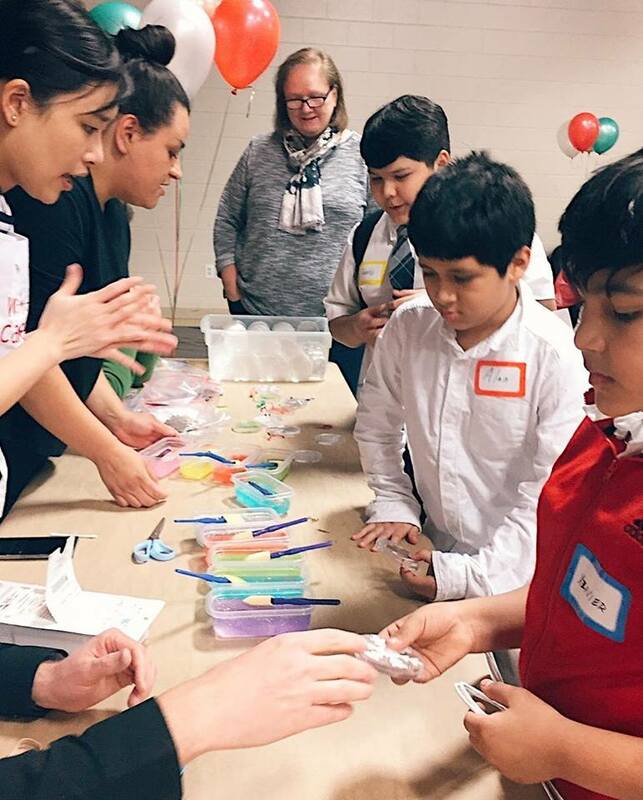 We Care is a Holiday Event by Herman Miller in conjunction with the Boys & Girls Clubs of America to give kids the chance to create a variety of holiday gifts for their friends and families. It always warms our hearts to see their excitement as they go to each station and collect all their crafts and works of art for their loved ones. Our firm’s team has designed, created and provided approximately 300+ crafts projects for the kids each year. 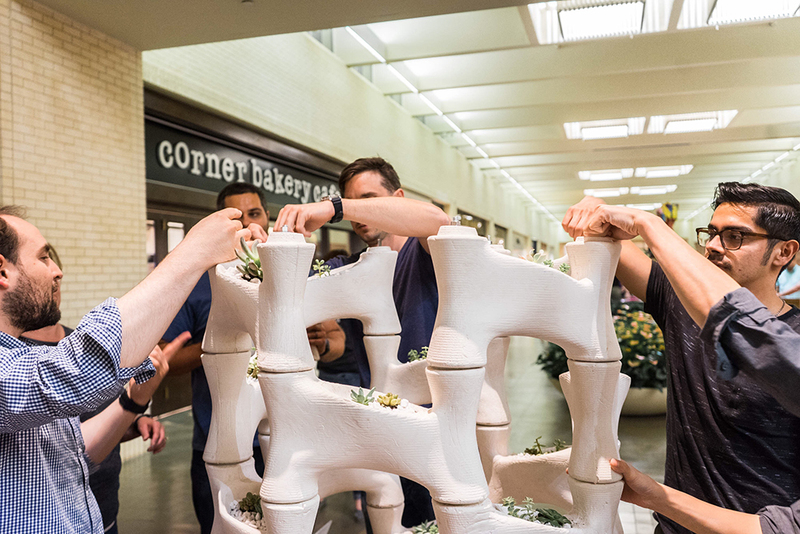 Architects and Contractors join forces each year for the Annual Bark + Build community service competition to benefit the SPCA of Texas. The teams work together to design and build a doghouse. 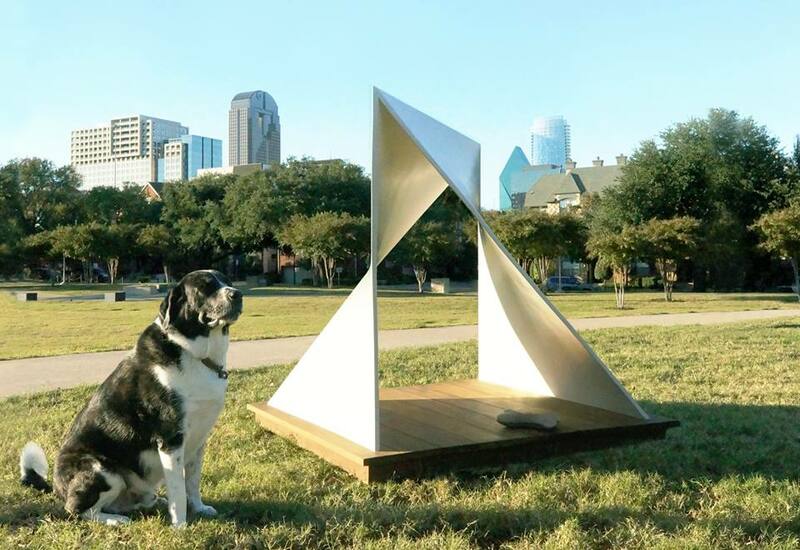 All the doghouses are then displayed at NorthPark Center in November where they are auctioned off. All proceeds benefit the SPCA of Texas. In 2018, our team won the "Big Dog" award and brought in $2,000 to benefit the SPCA of Texas. This design competition is always a favorite because it gives our architects and designers an opportunity to work in a different architectural medium -- it is also a cause that is very dear to the many animal lovers in the office. 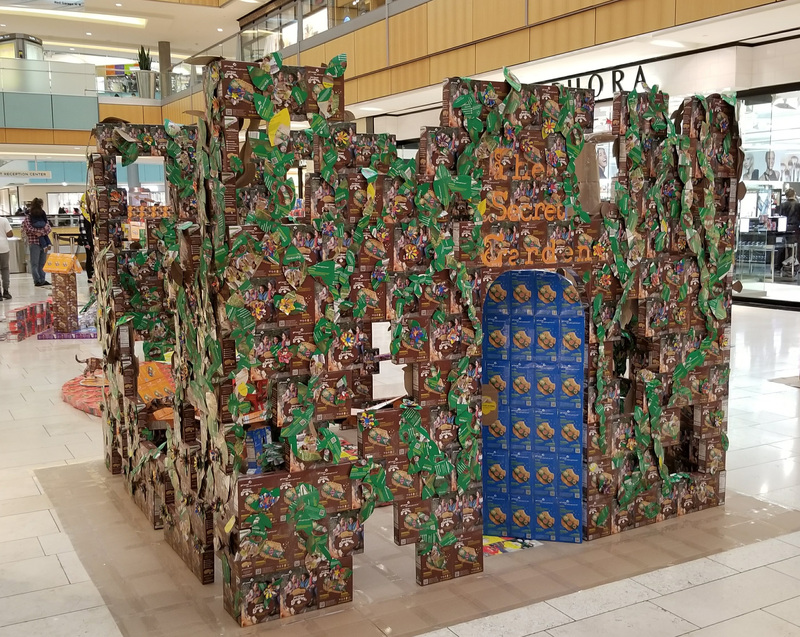 Gingertown happens each year at NorthPark Center during the holidays. Architecture, Construction and Design firms come together to build a themed town in only a few hours. The structures are then displayed through the end of the holiday season. You plan for one thing, and end up with another and the creativity that flows through there is amazing! 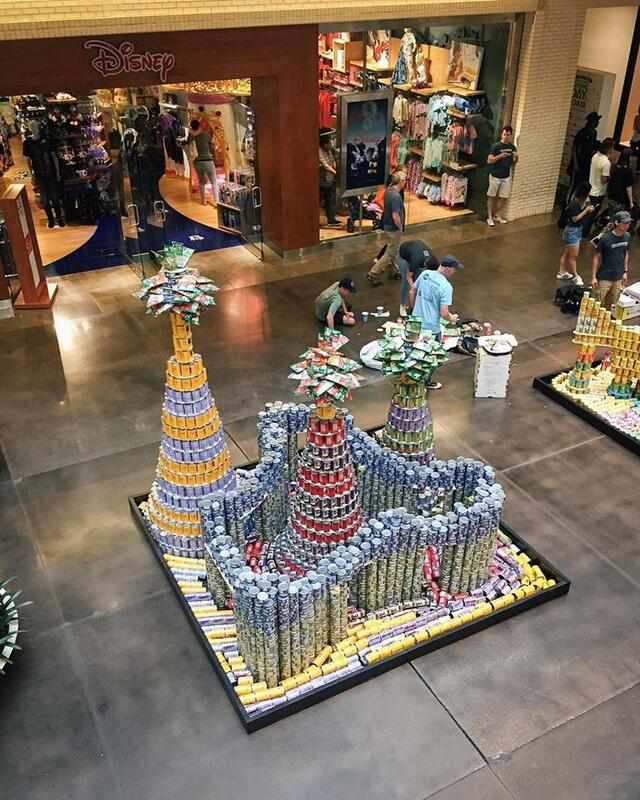 CANstruction is a Design/Build competition between A/E/C firms that benefit the North Texas Food Bank. in 2018, our design combined the notion of a road we are all traveling on together to help end hunger with the aesthetic whimsy of Dr. Seuss' illustrations. We're all going places, but not going alone! We also won the Best Meal award! It takes a lot of planning, but we enjoy it every year! PARK(ing) Day Dallas happens each year on the third Friday of September where parking spaces are temporarily transformed into parks that engage with people downtown. 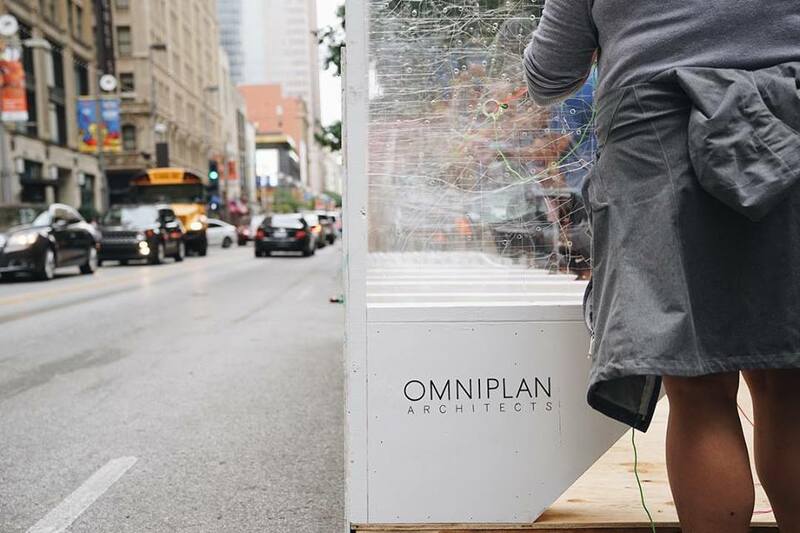 Each installation is to promote social interaction, civic engagement, critical thinking and creativity. Many people use it to showcase creative ideas as well as music from local entertainers. Our design in 2018 was to engage with folks downtown to map their movements throughout their day. We received the Best Pro Design Award in 2018. We always have tons of fun at this event. It’s always great to get out and support Dallas. Hearts + Hammers is a charity program that focuses on rehabilitating homes for people who otherwise can't make it happen. In this way, we're able to lend our skills and our time to make one person's life a little bit better. It's an opportunity to work with each other on something meaningful to our neighbors and our city. Also, it's an invaluable team building experience, during which there are lots of laughs and good memories made.